1 Publications by "A. Joshi"
J. Vass, J. Yao, A. Joshi, K. Palaniappan, and X. Zhuang. 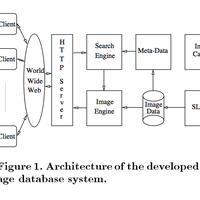 Interactive image retrieval over the Internet. 17th IEEE Symp. Reliable Distributed Systems, pages 461--466, 1998.